Possession of Controlled Substances without Prescription is considered a felony offense in the state of Florida. This particular felony is particularly severe in that it cannot be expunged. The crime is fully explained in Florida Statute 893.13(6)(a). Are there different types of possession under Florida law? Possession under the law is not black and white. “Actual possession” is the type of possession that coincides with the layman’s definition of possession – the prosecution is claiming it found the illegal substance on your person. If they claim to have found it in your hand, your pocket or on your clothing, the charge will likely be Actual Possession. “Constructive Possession” is a less intuitive term that allows for prosecution of an illegal substance that is in your “ready reach.” This charge is purposefully vague and requires an experienced professional to defend against. What are the potential punishments for possessing a controlled substance illegally in Florida? The punishments for this charge are rather harsh and may include the following. 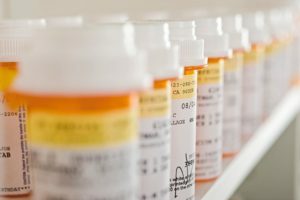 What are the best defenses to the charge of Possession of Controlled Substances without Prescription in Florida? In order to counter the detailed records that the officer will keep of the incident, the following aspects of the arrest should be considered. A few of the defenses that you may be able to take advantage of as a defendant are as follows. If you actually have a prescription for the substance that caused the arrest, this may serve as a full defense against the charge. The charge of constructive possession requires that the prosecution prove that the substance in question was “known to you” as well as in your possession. Depending on the exact charge levied by the prosecution and any mitigating circumstances surrounding the stop, detention, search or arrest, this defense may serve as a partial or full defense against the charge. Defending yourself against a possession charge has become harder since Florida has begun cracking down on drug use. You will need an attorney who understands how to present your case to the court. The attorney you choose is vital to your success in defending against a Possession of a Controlled Substance charge. Pleading guilty to avoid the expense of court may hinder your professional life for much longer than fighting your case. The Law Offices of Verderamo & Nunez is here to help you right now – call or email us immediately for a free, confidential consultation.